Former India pacer Zaheer Khan will soon be inducted into the bronze medal.Zaheer, who has been in love for the past few years with the Chak De India fame Sagarika Ghatke, Monday night was a special one for Zaheer Khan. 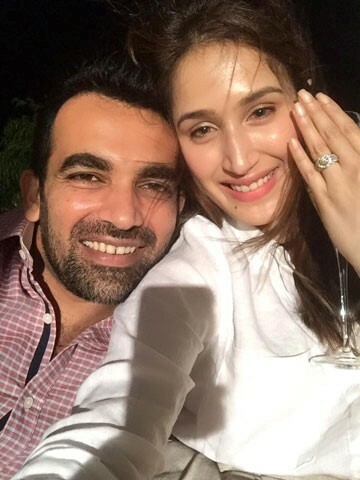 The Delhi Daredevils captain announced his engagement to actor Sagarika Ghatge. The cricketer tweeted a photo with the actor and said, “Never laugh at your wife’s choices. You are one of them !!! Partners for Life #engaged.” The actor too shared a photo announcing the good news to her followers. The two have made many public appearances together including Yuvraj Singh and Hazel Keech’s wedding in December.